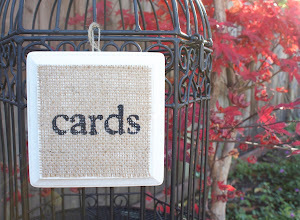 Friends always ask if I have always been crafty or if this is something that I just picked up. The answer is that I have always been an obnoxious crafter. Around the age of 8, I turned our family's hallway closet into a craft studio where I planned to "sell" my work that was mostly made from Play-Doh. 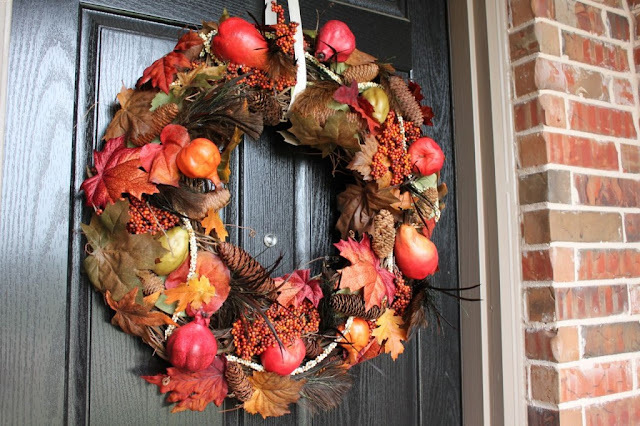 This DIY wreath from Thrifty Decor is amazing. 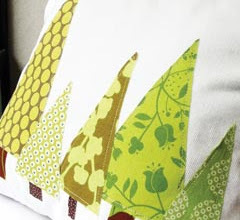 You can easily outline a shape from a foam core board and add leaves. Here is one from last year. Visit the site for instructions. 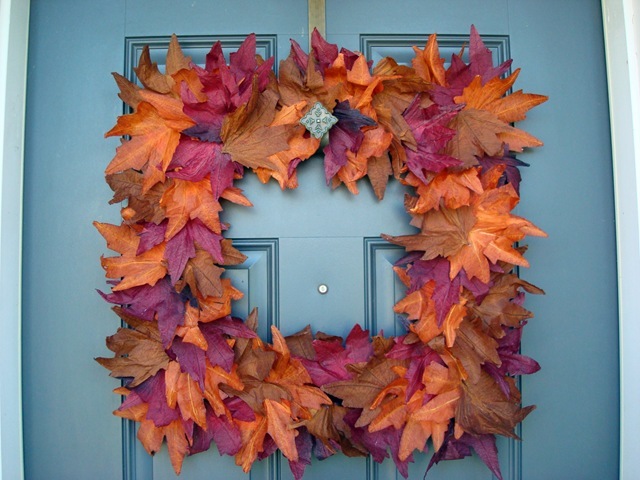 This is the original picture that inspired Thrifty Decor and you can click here to see the step-by-step instructions to making this leafy wreath. 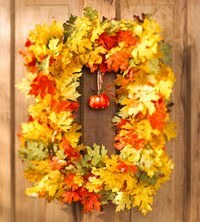 Better Homes and Gardens has a lot of ideas for wreaths from Halloween to Fall to Thanksgiving. 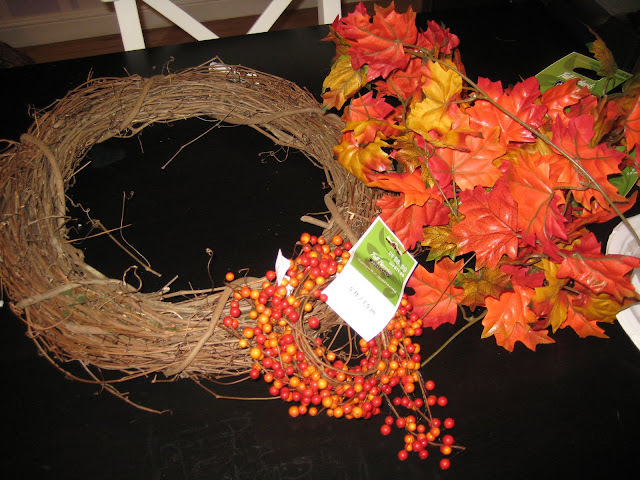 If the Fall foilage isn't enough for you, here's a DIY wreath made by Jenny Garland. Her wreath includes feathers, fruits and vegetables. Click here for step-by-step instructions. 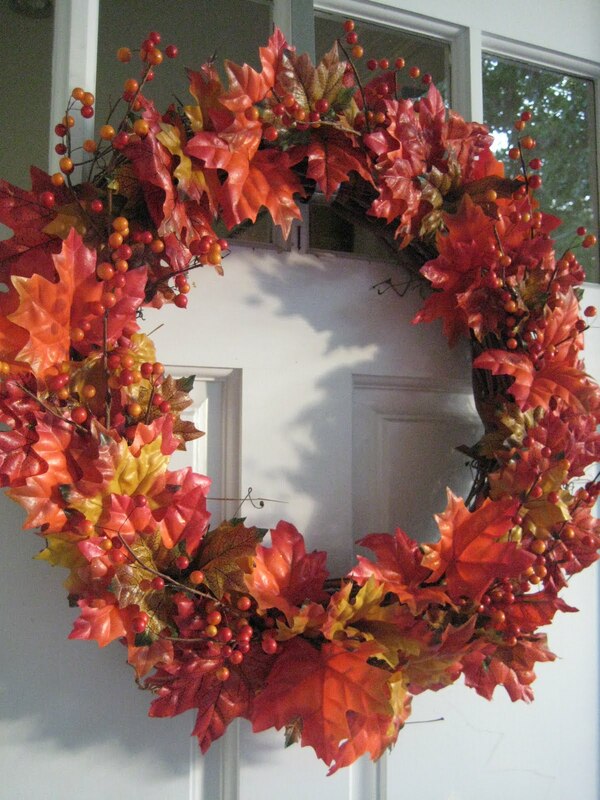 All items for my wreath were purchased at Michaels. The stick wreath was the cheapest option available to me: $3.49. And I used a 40% off coupon. 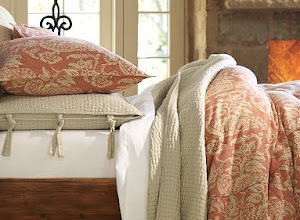 The garlands were already 40% off. 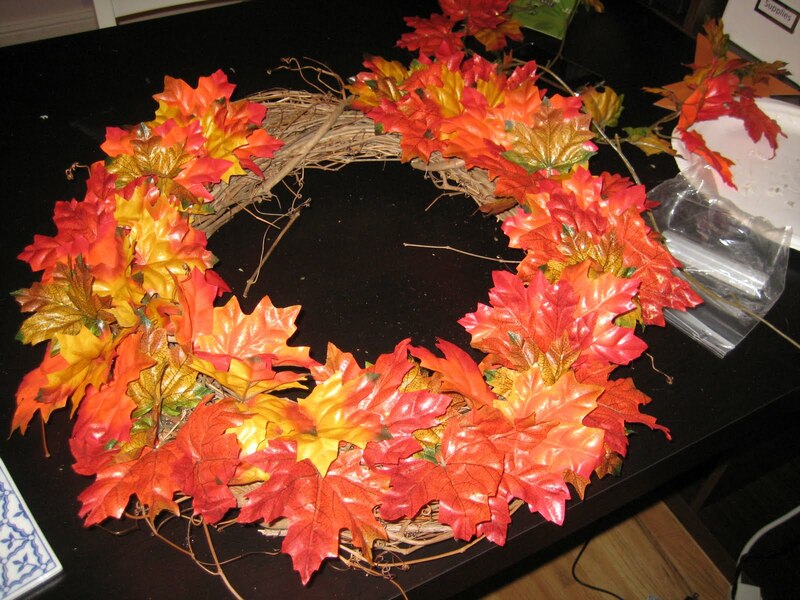 I just pulled the leaves off of the garland and glued them on the wreath. The garlands offered more leaves at a cheaper price. Total cost: $12. 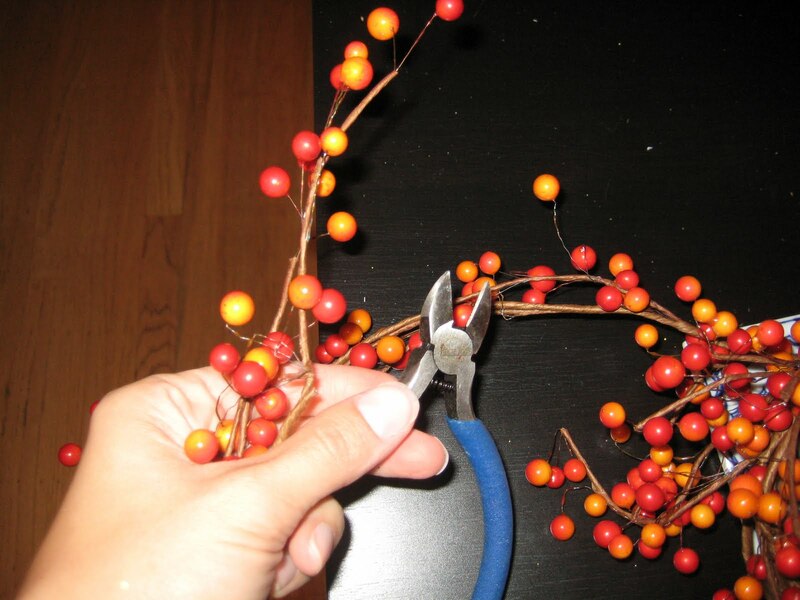 And I have extra leaves and garland to decorate the mantel for Fall.